Do you often find yourself spending lots of time watching videos online? If so, you can use the time to watch funny cat videos and make extra money on the side? Believe it or not, you can get paid to watch videos online. In fact, many companies will pay you to watch videos. It may be for market research, or they might want you to watch some sponsored news or other themed videos. You can also get paid to watch movies in some circumstances. 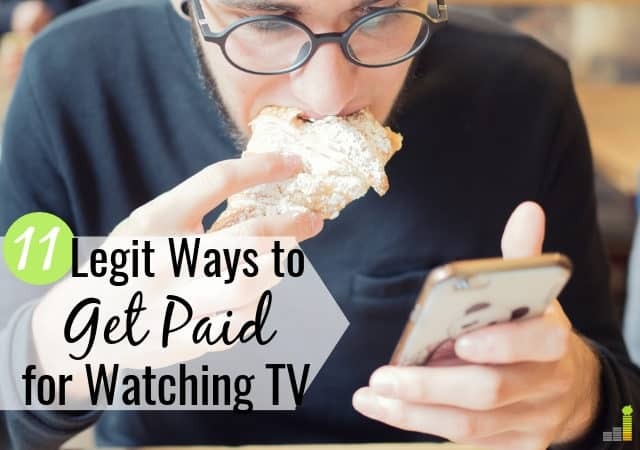 If you’re looking for a way to make money in your spare time, read on because this post explains how you can earn money by watching videos online. Watching videos for money isn’t going to make you rich. 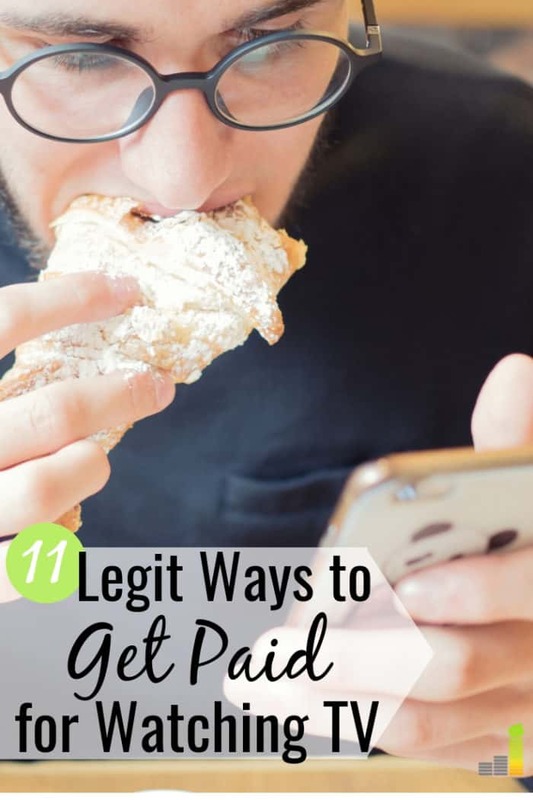 However, it can be a a great way to earn extra money in your free time. In most instances you can watch videos either on your laptop or directly from your phone. You may also be able to redeem earnings for free Amazon gift cards or gift cards from other retailers. If you want to make money in your free time, below are 11 legit sites that you can use to make money watching videos. Swagbucks is a loyalty rewards site that allows you to earn money by doing a variety of tasks online. The site has its own video section that allows you to get paid to watch videos. Make sure to rate each video after you watch it. Between each video, you may have to watch an ad before the next one starts. Some of the ads can be up to 75 seconds long, so make sure you have some time set aside for that. As your points add up, you can redeem them for gift cards or cash via PayPal. You can start redeeming points for gift cards as low as $1, but you need at least $25 to redeem for cash. Swagbucks gives you a $10 bonus when you open an account. Check out our Swagbucks review to learn more and how you can use it to earn money watching videos. InboxDollars works very similarly to Swagbucks and is one of the best paid survey sites to make extra money. You can make money watching videos on InboxDollars by watching short clips of TV shows and movies, and videos in categories including food and recipes, entertainment, and celebrities. InboxDollars lets you redeem points for gift cards, or you can have cash sent directly to your PayPal account. They do have a $30 minimum redemption amount for cash but they also offer a $5 bonus when you open an account. Since 2000, InboxDollars has paid out over $60 million in cash rewards for simple tasks like watching videos. Many ask “is InboxDollars legit?”, and yes, they are a legit platform to make extra money. National Consumer Panel (NCP) is a partnership between Nielsen, the radio and TV company, and IRI, a market research company. NCP puts a large focus on shopping and paying people to scan the food items they buy. To begin making money by scanning, you must download their app and create an account. You can also create an account through the National Consumer Panel website. In addition to scanning, NCP lets you make money watching ads so they can provide feedback to marketers. You need to collect 8,000 points to cash out. You can redeem points for cash, gift cards, or enter into their sweepstakes. Sweepstakes happen weekly, monthly, quarterly, and annually. Quarterly NCP has a Grand Prix drawing where you can win $20,000. You can also use your points to receive discounts at major retailers. You can use Android or Apple devices to make money with NCP. Nielsen Digital Voice works by analyzing TV viewing habits. With the growth in cord-cutting, this is becoming more difficult. However, Nielsen pays you to watch videos online by downloading their app on your phone or watching videos on your computer. After registering, you can earn money watching videos. They also pay you for tracking the websites you visit. This is a legitimate service they offer market research firms, and because all information is encrypted, your private information is safe. Not only does Nielsen pay you for watching videos, they also enter you into sweepstakes. Those prizes include points, cash, and gifts. For instance, $10,000 is given out monthly to users who simply keep the Nielsen Digital Voice App installed. Nielsen Digital Voice awards $120,000 annually just on this sweepstakes! Users must be 18 years old and must own the computer they use. When using Perk.tv, you earn money by watching trailers for movies and video games. Netflix has a few trailers you can watch on Perk TV including Orange is the New Black, the World, and Marvel’s Iron Fist. More video categories include hilarious and random, celebrity news, and science and tech. Perk.tv pays you in Perk points which you can redeem for cash, gift cards, or even donate winnings to charity. When you watch videos on Perk.tv, each video rolls automatically into the next one so you don’t have to worry about clicking on a new one each time. However, you may still occasionally need to tell Perk.tv you’re still watching. Cashcrate offers a couple of ways for you to make money online, including watching ads on your phone. You encounter the ads when you unlock your phone and it takes you to the advertiser’s website. Ads can vary, but they typically range from watching YouTube videos or earning Google Play credits. CashCrate also pays the same amount whether you watch the ad or ignore it. You earn your first $1.00 by signing up for Cashcrate. The minimum you need to earn to cash out is $20, and Cashcrate pays on the 15th of every month unless you have a gold ranking. Gold-ranked users are eligible for weekly payments. The platform is only available on Android and Apple-based phones; it is not available on tablets or computers. Slide Joy is an app that allows you to earn money by watching ads on your phone. Once you download and activate the app, you receive a prompt to view a quick ad or news story from Slidejoy. To see the ad or news story, just swipe left. You can also ignore the ad and unlock your phone for your normal use. However, the more content you watch through Slidejoy, the more extra money you can earn. Slidejoy rewards you in cash or gift cards to popular retailers and brands. You can also donate your earnings to your favorite charity. The app is available to download for Android users in the Google Play Store. Believe it or not, you can make money watching Netflix. These jobs don’t come up that regularly, but they are there. The goal with this job is to ensure their videos are correctly categorized. Netflix refers to people in this role as “taggers”. If you watch Netflix on a regular basis, this can be a good way to earn money while watching movies and shows. Check out the Netflix jobs board to look for opportunities. AppNana is a service that pays you to test and use different apps on your phone. The platform doesn’t only focus on testing apps; you can also get paid to watch videos on your phone or device. With each task you perform or video you watch you earn a “Nana.” which you can redeem Nanas for gift cards to a variety of online retailers. The service does not pay out cash, but they can be a great way to earn free Google Play credits or other gift cards. How many hours do you spend on YouTube each week? With Paid2YouTube, you can get paid to watch videos instead of simply wasting time. If you’re already spending time on the site, it makes sense to make money while doing it. The one downside to the service is they only pay $.005 per video you watch. However, you can earn more by rating titles, leaving comments, and subscribing to different YouTube channels. Paid2YouTube has a relatively low minimum redemption amount of $10, which they pay via PayPal. The final service you can use to get paid to watch videos is QuikRewards. This service works for residents of the U.S., Canada, and the U.K.
QuikRewards has a low minimum redemption amount of $5. You can redeem earnings for cash via PayPal or choose from a variety of gift cards. How much money can you make watching videos? As with any side hustle, it’s important to be realistic with potential earnings. You won’t get rich watching videos. However, it is a legit way to make extra money. Depending on the platform you use and the amount of time you devote, it’s possible to make several hundred dollars per month by watching videos. If you already spend a lot of time online watching videos, this is a great way to make it worth your time. You can use earnings to pad your savings, have a little extra spending money, or use to throw at your debt. In many cases you can earn money directly from your phone, so you can watch videos whenever you like. You can get paid to watch videos in many ways. If you want a side hustle that doesn’t require a specialized skill and that can be done from wherever you wish, earning money watching videos is a great option to consider. Not only can this be a fun side hustle, but it’s one that requires little effort. What are some other services you’ve used to earn money by watching videos? What are some other overlooked ways you’ve used to make extra money? Do you think it’s legit to get paid to watch videos online?